Kitchen! Kitchen! : fast and easy cucumber salad.....at kitchen! kitchen! 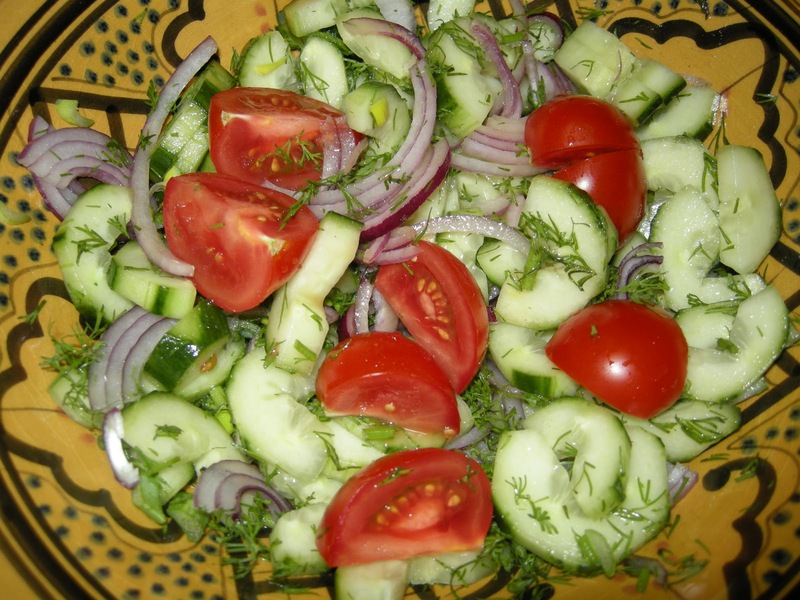 fast and easy cucumber salad.....at kitchen! kitchen! ﻿A mouth watering freshness awaits you with this simple and easy to make salad. Goes with anything!! The dill lends a peppery fresh taste to the salad. A simple dressing of a juice of fresh lemon, a teaspoon of mustard, a bit of salt, a squirt of honey, and a little olive oil well shaken will go a long way. Sometimes, all it needs is just a squeeze of lemon, a bit of salt to taste and a handful of chopped dill. For a more robust version add some hard boiled eggs and a scattering of good Italian or Spanish anchovies from your favorite gourmet store.